You don’t want to miss this year-end RV sale event where you can save up to $11,000 on brand new 2018 travel trailers for sale at RV Value Mart! We are proud to offer some of the top RV brands including Aspen Trail, Catalina, and Viking. Let take a look at just a few of the incredible travel trailers you could take home today! If you are looking for a simple, high-quality, easy-to-tow option, then the Palomino Real-Lite Mini travel trailer is the deal for you! You’ll find a pillow-top queen mattress, LED lighting throughout, and hardwood cabinetry with ball bearing drawer glides. When you choose Palomino, you get a harmony of quality and functionality! 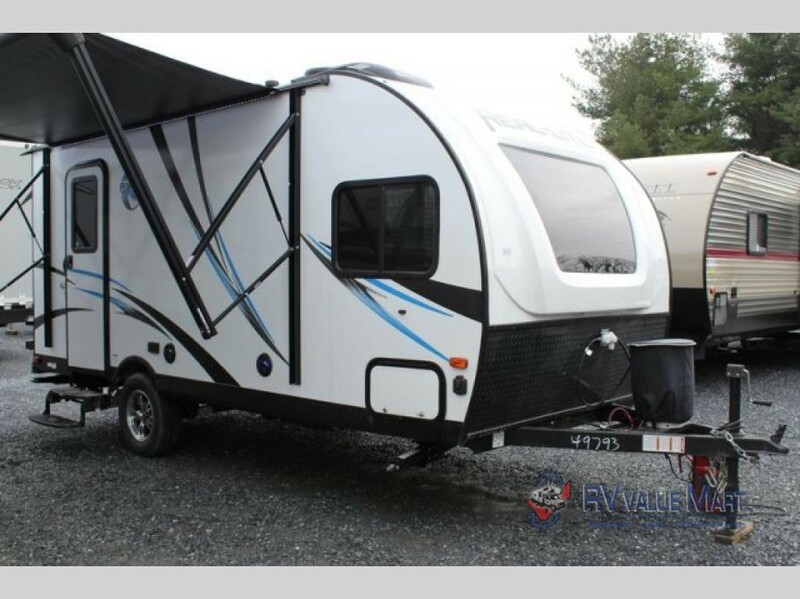 Right now, you can take home this Palomino Real-Lite Mini travel trailer for just $16,999! Maybe you’re looking for something with more features to make you fall in love. This 37′ 6″ Dutchmen Aspen Trail is an excellent option for large families or multi-family vacations. Its features include a private bunkhouse that sleeps up to four, in addition to the private master suite and extra sleeping in the main living area. 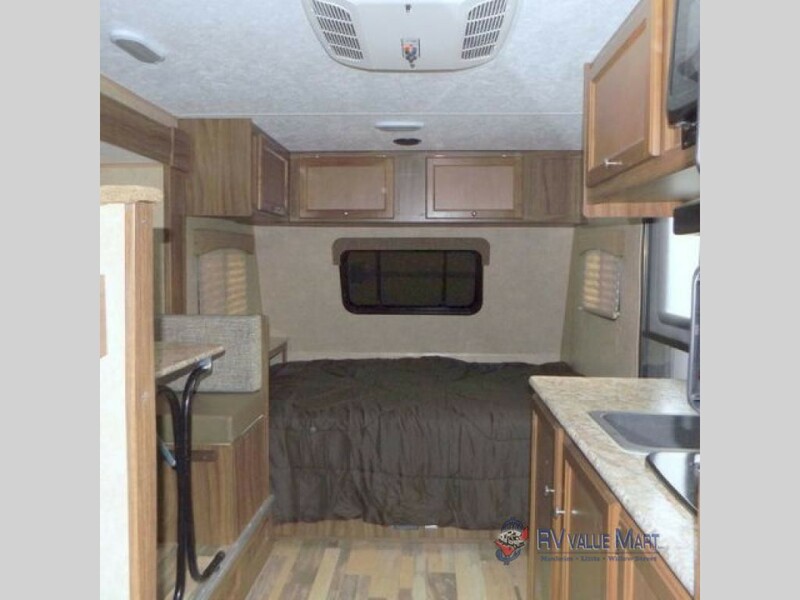 If you love to cook outdoors, this RV comes equipped with an outdoor kitchen that includes a sink, mini fridge, and a two-burner cooktop! You’ll never have to miss a moment of the action while preparing everyone’s dinner again! Save over $10,000 on this Dutchmen Aspen Trail travel trailer today! 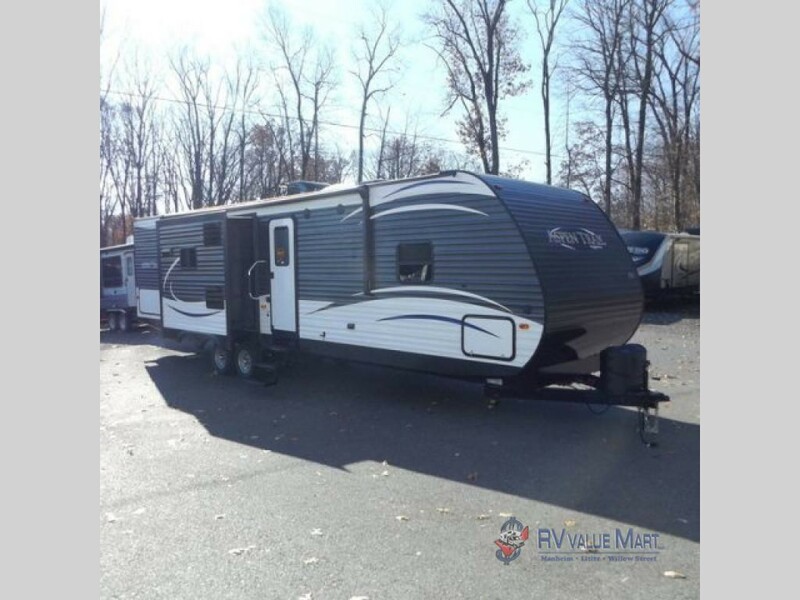 This Coachman Viking travel trailer packs a lot into a tiny package! Coming in at only 21′ and 410 lbs, it features enough sleeping for five, including bunk beds and a queen. You’ll find a full kitchen and private bathroom with a shower/tub combo! The kitchen features a sink, double burner, and fridge, plus plenty of pantry and cabinet space! Take home this Coachmen Viking travel trailer for just $11,750! Don’t waste another minute! With prices like these, the 2018 year-end RV sale at RV Value Mart won’t last long! Contact us today and take home the travel trailer of your dreams for a rock bottom price!